A fourth round of nuclear talks between Iran and six world powers ends, both sides complain that major gaps remain. A fourth round of nuclear talks between Iran and six world powers ended Friday with both sides complaining that major gaps remained ahead of a July 20 deadline for a final deal, AFP reports. Iran's chief nuclear negotiator, Abbas Araqchi, quoted on state television, reported "no tangible progress" at the talks in Vienna as he described the gaps as "too huge". However, he said Tehran remained "determined" to continue the talks in coming months. A Western diplomat said "huge gaps" remain in the negotiations aimed at finding a lasting deal on limiting Tehran's nuclear program, and called on Iran to show more flexibility. "Huge gaps remain, there is really more realism needed on the other side," the diplomat said, according to AFP. "We had expected a little more flexibility on their side." Unusually, no press conference was held and no statement issued after the three-day meetings between Iran and the so-called P5+1 powers - the five permanent members of the UN Security Council plus Germany - bolstering the impression that little had been achieved. A U.S. official had earlier said Washington was worried by a lack of progress in the talks, calling the discussions "slow and difficult." "Significant gaps remain between the two sides' positions," the senior U.S. official in Vienna said on condition of anonymity. "Iran still has to make some hard choices. We are concerned that progress is not being made, and that time is short," the official said. The talks in Vienna are a follow-up to the interim agreement reached between Iran and the West several months ago, under which Iran committed to limit its uranium enrichment to five percent, halting production of 20 percent-enriched uranium. In return, Iran is gradually winning access to $4.2 billion of its oil revenues frozen abroad and some other sanctions relief. Iran and the six powers want to turn the November deal into a lasting accord by July. Michael Mann, spokesman for EU foreign policy chief and the six powers' lead negotiator Catherine Ashton, warned against reading too much into the lack of a joint statement or press conferences after the meetings. "Nothing is agreed until everything is agreed. That's why we don't want to break things down and give a snapshot of where we are after every session," he told AFP. "We have had three days of hard work. As we have said, the negotiations are complex and detailed," he added. "We are trying to formulate an agreement." A source close to the Iranian delegation in Vienna was quoted by the IRNA news agency as saying that "the West has to abandon its excessive demands." "We had expected the Western side to become more realistic but this doesn't appear to be the case yet," the source added. 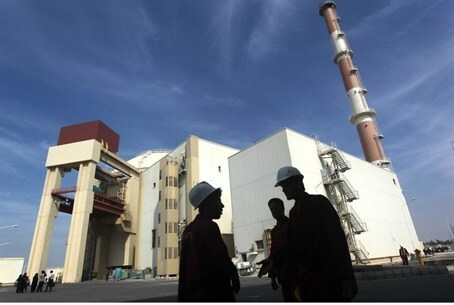 The powers want to extend the time Iran would need to enrich its stockpile of low-enriched uranium to weapons-grade by slashing the number of centrifuges from the current 20,000, of which half are operating. The Islamic Republic denies wanting nuclear weapons and says enrichment is only for peaceful uses. Another issue is Iran's development of ballistic missiles, a point which Tehran has said should not be part of the nuclear talks. Washington disagrees, saying that the November deal committed Iran to address all UN Security Council resolutions, one of which -- in 2010 -- called on Iran to stop missile development. A recent UN report has found that despite apparently reducing illicit purchases that breach UN sanctions, Iran is pursuing development of ballistic missiles.